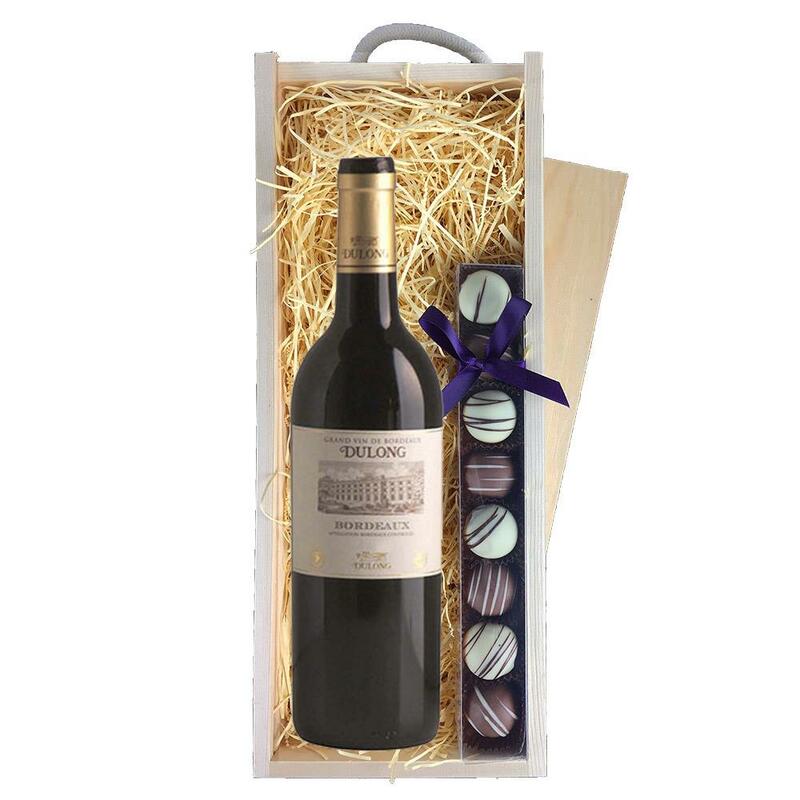 A single bottle of Bordeaux - Dulong Reserve 70cl and a single strip of fine Hand Made Truffles (110g) Presented in a wooden gift box with sliding lid and lined with wood wool with a Gift Card for your personal message. Bordeaux - Dulong Reserve The house of Dulong was founded by Eugene Dulong in 1873 in the village of Floirac near Bordeaux. Today it owns a dozen chateaux as well as buying in grapes from other growers. It is now one of Bordeaux`s leading négociants continuing Eugene's policy of rigorous selection and meticulous attention to winemaking detail.